The 113th annual Fair at the Petoskey Fairgrounds kicks off for the public on Tuesday, Aug. 21 and runs through Sunday, Aug. 26. The Grandstand at the Fair is where the BIG excitement takes place, Tuesday through Saturday night each year! ALL Grandstand tickets are available in advance at the Fair Office inside the Fairgrounds, 1129 Charlevoix Ave., Petoskey, or by calling (231) 347-1010; or at the gate. Be sure to check out the many other Fair events during the week including free entertainment, karaoke contests, 4-H shows, market livestock auctions and shows, the dog agility show, Community Building vendors and exhibits and much more! Gates open daily at 10 a.m.
MINI HORSE PULLS, PONY PULLS & DRAFT HORSE PULLS – STARTING AT 12 P.M.
ONE NIGHT ONLY! 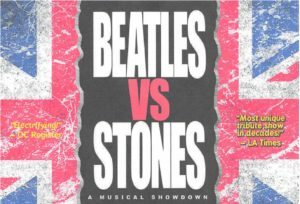 @ 7 P.M.
Two of the greatest bands of all time face off in a high-energy, adrenaline-pumping musical showdown. The Fab Four, represented by tribute band “ABBEY ROAD” will engage in a barrage of hits against premier Rolling Stones tribute band “SATISFACTION”. It’s a face off you won’t want to miss! Come early & enjoy the beverage tent! Tickets only $23.50 per person and are available at Etix.com or call the Fair box office at 231.347.1010. It’s the concert you always wanted to see!! 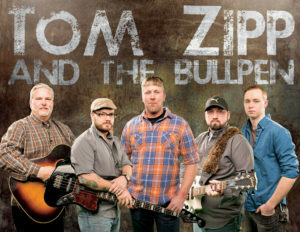 TOM ZIPP & THE BULLPEN @ 7 P.M.
Last year’s Country Showdown Winner returns with a new dynamic show to entertain all ages. Tickets: $5.00 13 & up, 12 & under Free. MONSTER TRUCK SHOOTOUT – 7 p.m.
Tickets: $17 each day of show, or 2 for $25 in advance for ages 13 and up; $8 for ages 2 to 12; and under 2 are FREE. The Michigan Monster Truck Shoot Out roars back to the Fair on Friday, Aug. 24. You’ll see high-flying, car-crushing competition by machines like Ballistic, Predator and Prowler, plus Rap Attack and other big, bad trucks! There’s also a special performance by the MiniMonsters. After the show, you can meet the drivers who have been on ESPN and TNN, get their autographs and photos. Local drivers are invited at no charge to be in the Show & Shine and the Ugly Truck Competition. You can sign up to participate at the show. Take the whole family as this is unbelievable action-packed entertainment! AUTO CROSS RACING 6 p.m.
Cash and trophies await the winners in the AutoCross Races Aug. 25, and all are welcome to enter! Just get a car, do some minor safety modifications like remove the side windows, show up for the racers’ check-in and then let it rip on the track. To enter and for more info: (231) 347-1010. Rules for the Autocross event and a entry form with waiver available below to download and print!